Posted on Thursday, December 13, 2018 by "T". 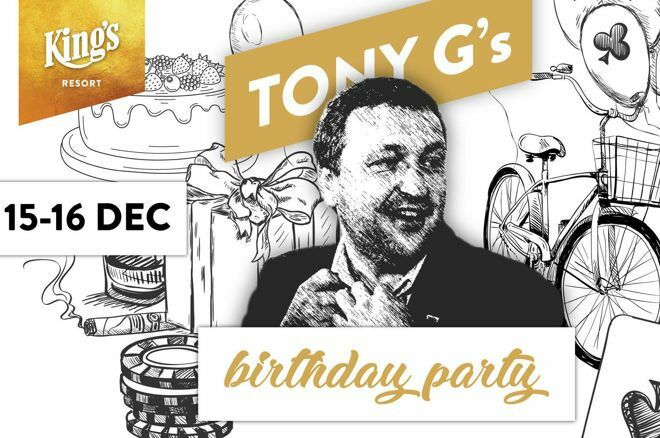 Antanas Gouga, better known in the poker community as Tony G, will celebrate his 45th birthday on December 17, and partypoker honors the Lithuanian poker pro by hosting a €200,000 guaranteed PLO tournament held at King's Casino, Rozvadov, Czech Republic on December 15 and 16. 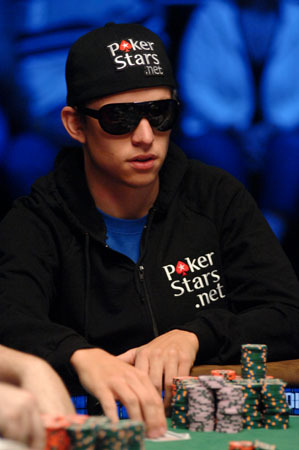 Poker players will have the chance to both wish Tony G a happy birthday as well as have the chance to play against him. The Crypto Series of Poker (May 27 - June 3), a 10,000,000 CHP added tournament series that is the first of its kind, is set to start this Sunday at 16:00 EEST. New CoinPoker players can join the first event for free, with the an added sum of 250,000 CHP up for grabs. The series includes 17 varied tournament events where a range of 200,000 to 1,000,000 CHP added prize pools can be won. From May 27th to June 2nd, two tournaments will be held daily and build up to a final high stakes main event with 2,500,000 CHP added. Posted on Thursday, January 18, 2018 by "T". 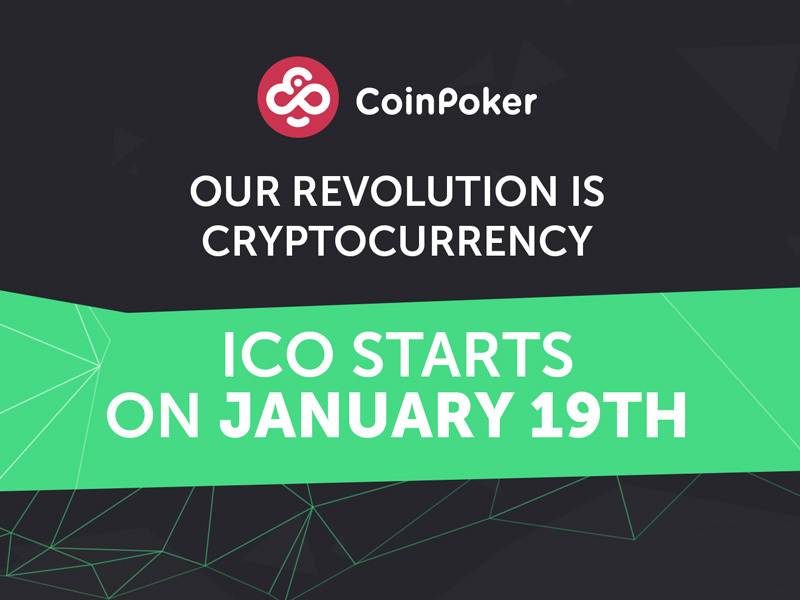 Two Thirds of CHP already reserved with 30,000 + unique users and 4,000+ unique daily players already using site CoinPoker.com are launching their eagerly awaited ICO this Friday with only one third of its allocation left for sale - two thirds of CHP (chips) tokens already reserved for sale via the priority whitelist! Posted on Tuesday, August 15, 2017 by "T". This past weekend has been extremely good to Jack Sinclair, who just won the €25K Super High Roller event at the German Poker Championships held in Rozvadov, Czech Republic. He battled against Tony G on a heads-up match, defeated him and walked off with the title along with a sweet €250,000! Posted on Thursday, June 23, 2016 by "T". 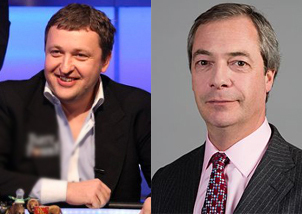 Former poker pro Antanas "Tony G" Guoga challenged British politician Nigel Farage to a €1 million bet on whether the United Kingdom will stay in the European Union or leave. Polls of recent weeks have shown that the opinion of the public over "Brexit" is divided, with results showing 50-50 who are for and against the UK leaving the EU. Tony G's Poker Challenge To Canada's PM: "I'll take everything you have"
Posted on Friday, December 18, 2015 by "T". 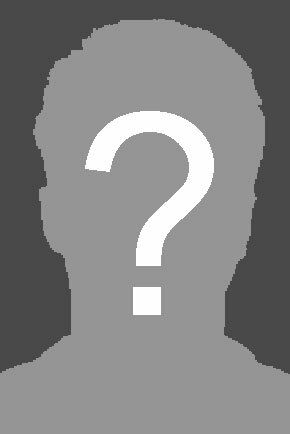 Tony G has been rather anonymous in the poker world ever since being elected to the European Parliament in 2014. However, it seems like the former poker pro is not done with poker just yet. The fact is that he just challenged Canada's Prime Minster to play poker against him. The reason? Well, in a special 60-second challenge by maccleans.co, Canada's PM Justin Trudeau responded "That's not a thing" when asked what his favourite Baltic nation was". As many of you probably know, the Baltic states consist of Estonia, Latvia and Tony G's Lithuania. Read more » Tony G's Poker Challenge To Canada's PM: "I'll take everything you have"
Posted on Tuesday, August 19, 2014 by "T". Businessman, entrepreneur, politician, basketball manager and poker pro. Antonas "Tony G" Gouga has many irons in the fire to say the least. 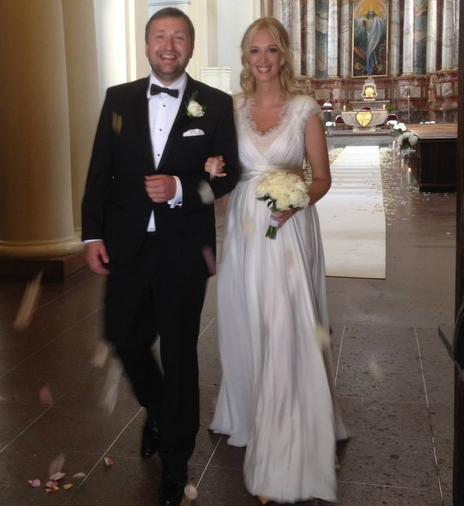 Last week he could cross off another thing on his "bucket list" as he got married to his girlfriend of two years, Aiste Slapokaite. Posted on Tuesday, October 29, 2013 by "T". 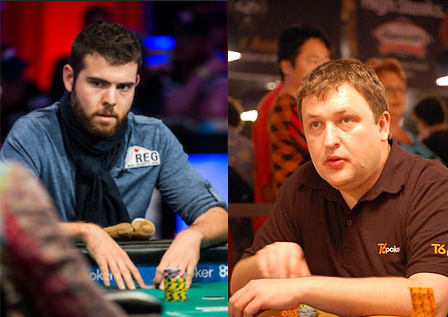 It's not only in Paris that poker stars are battling it out for some serious cash. 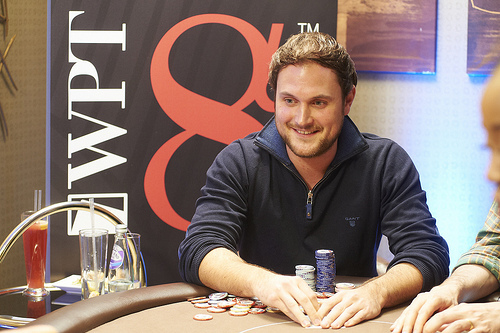 On Monday, the 2013 World Poker Tour Alpha8 kicked off in London at the luxurious Palm Beach on Mayfair venue. The £100,000 buy-in tournament attracted 10 players spread across two tables at the beginning of Day 1 and ended with 19 entries. Posted on Tuesday, October 15, 2013 by "T". Event #2: €1,100 No-Limit Hold'em Re-Entry saw 659 entries and the remaining 9 players will return to play later on today and battle it out at the final table - where a first prize of €129,700 and a WSOP gold bracelet are at stake! Posted on Monday, May 20, 2013 by "T". The second day of the International Stadiums Poker Tour (ISPT) is just around the corner! Day 1 of the tournament is being played online (February 3rd - May 26th) and live action begins May 31st in Wembley Stadium in London. The tournament (€1,000,000 guaranteed for the winner) is set to become the biggest live poker event ever and lots of pros have already confirmed their participation including WEMPLAYERS (amassadors) Tony G, Dave Ulliott, Marcel Luske, Robert Mizrachi, Like Schwartz, Sam Trickett and David Benyamine. We will keep you updated from start to finish, so make sure to check our news section from May 31st onwards. Tony G Wins €1.85 Million Pot? Posted on Tuesday, February 19, 2013 by "T". 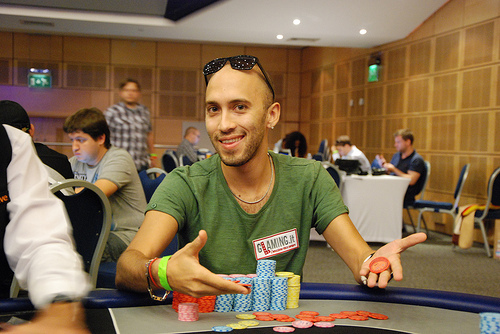 On Monday, Tony G blogged about an insane cash game at Kings Club in Prague, Czech Republic. According to himself, he lost about €500,000 in a €2k/€4k cash game the first day. The same day as that cash game took place he also played a €10,000 High Roller (rebuy) event, but he decided to skip Day 2 and let his average stack get blinded off. 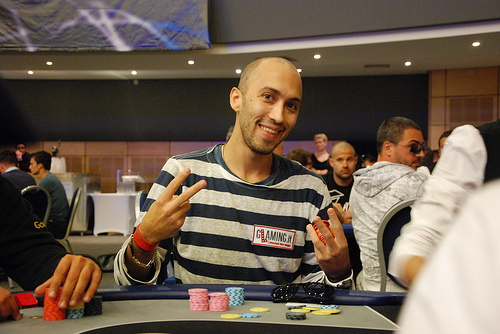 Read more » Tony G Wins €1.85 Million Pot? Posted on Wednesday, January 02, 2013 by "T". The candidates for this year's European Poker Awards have now been revealed. 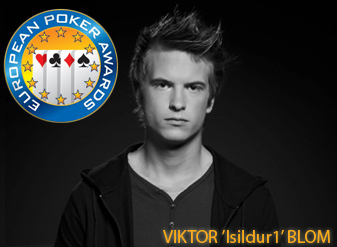 One of the nominees is the high-stakes player Viktor 'Isildur1' Blom from Sweden. Blom is up against Jens Kyllönen, Chris Moorman and last year's winner Ilari Sahamies for the Internet Player of the Year award. Posted on Tuesday, November 20, 2012 by "T". Tony G recently provided poker lessons to six players of the Manchester United soccer team (Refael da Silva, Phil Jonas, Tom Cleverley, Darren Fletcher, Jonny Evans and Danny Welbeck) for a charity tournament arranged by the club and filmed for MUTV. Tony G didn't take part in the tournament but he provided commentary for the broadcast. Evans, who plays as defender for his club, eventually took down the title after defeating Fletcher heads-up to retain the title he won last year. Tony G: "Tony Resort is real"
Posted on Thursday, November 15, 2012 by "T". Yesterday Tony G updated his blog with a video to show all "non-believers" that Tony Resort is a real place. According to Tony G, his own little paradise is guarded by his German Shepherd Nordas, and Ralph Perry (Russian poker pro) is not welcome. Read more » Tony G: "Tony Resort is real"
Posted on Wednesday, November 14, 2012 by "T". The World Poker Tour Copenhagen Main Event attracted a total of 229 players this time. After two days of play, the field has been reduced to 141 with Day 1A winner Andre Petrovic (picture), from Sweden, out in front with 220,400 chips. Day 2 kicks off at 12:00 CET (03:00 PDT) and the biggest names in the remaining squad of players are Sean Jazayeri (91k), Theo Jorgensen (53k), Kara Scott (43k), Steve O'Dwyer (38k), Marvin Rettenmaier (31k) and Ana Marquez (26k). 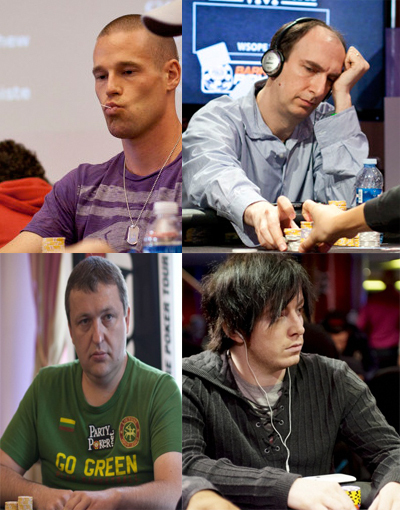 Famous players who were eliminated during Day 1A and Day 1B: Tony G, Daniel "Jungleman" Cates, Ville Wahlbeck, Anton Wigg & Ramzi Jelassi. Posted on Tuesday, November 06, 2012 by "T". Dan Leroux: What's better: beating the GOAT, or an evening with a top model? Simon Walmsley: What is the biggest pot in $ you have played in (Don't have to say if you won or lost it)? Posted on Friday, September 21, 2012 by "T". Yesterday the third and final part (running) of the Phil Hellmuth Vs Tony G Triathlon took place outside the Hilton Hotel in St.Julian's, Malta. Tony G started the 6-lap running competition with a 1 minute and 6 seconds advantage thanks to a better winning time in the basketball event. However, many considered Hellmuth to be the better runner of the two, so it was set to be a thrilling ending of the triathlon. Check out the video below to see if Hellmuth managed to catch up with Tony G.
Posted on Thursday, September 20, 2012 by "T". 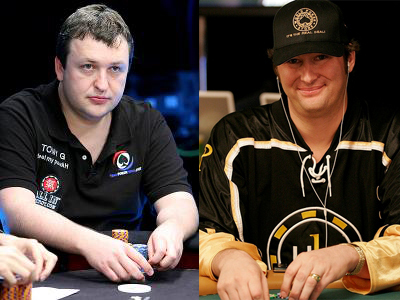 In case you missed it, Tony G and Phil Hellmuth have not only been taking part in World Poker Tour Malta main event in the past few days, but they have also been competing in basketball and swimming as a part of an ongoing triathlon. Tony G won the first leg (basketball) and Phil Hellmuth won the swimming event - just like expected. However, Tony G had a better time when he won and will therefore get a 1 minute and 6 seconds advantage in the last competition of three, running. After eight-levels of thrilling poker, the third day's player field had been narrowed down from 27 players to a final table with only 6 players, and for the third successive day it was Jackson Genovesi who had the lead. Jackson will bring 1,553,000 chips to today's final table, and his closest opponent is Yorane Kerignard with 1,422,000 chips. Posted on Wednesday, September 19, 2012 by "T". A lot of well-known players hit the rail during Day 2 of the World Poker Tour Malta main event. Just to mention a few of them: Jason Mercier, Erik Cajelais, Jonathan Duhamel and 12-time WSOP bracelet winner Phil Hellmuth, who was visibly upset when his A[c]K[c] didn't make it in a three-way all in. Posted on Tuesday, September 18, 2012 by "T". The second starting day of WPT Malta attracted 105 players, meaning that that the total field size of the Main Event was 169-players. 71 players survived Day 1b and Jackson Genovesi had the biggest stack when it came to an end - 147,500 - about 24k more than Casper Toft, the "winner" of Day 1a. Joining Genovesi to Day 2, which starts in a few hours, are poker stars such as Jonathan Duhamel, Tony G, Jason Mercier and Vanessa Selbst. In total, 104 players of 169 will return to the tables today with hopes of making it to the final table, where the winner will take home €120,000. Maybe not the biggest first prize we have seen on the World Poker Tour, but with so many good players taking part there is definitely some prestige in winning WPT Malta. Tony G On The New Investment: "I think this guy could turn $5 million into $100 million - he's a genius"
Posted on Friday, September 14, 2012 by "T". It seems like Antanas "Tony G" Gouga has no plans whatsoever to take it easy after the London 2012 Olympics, where he was the manager for the Lithuanian basketballl team, as he already has several new projects in the pipeline and some already up and running. 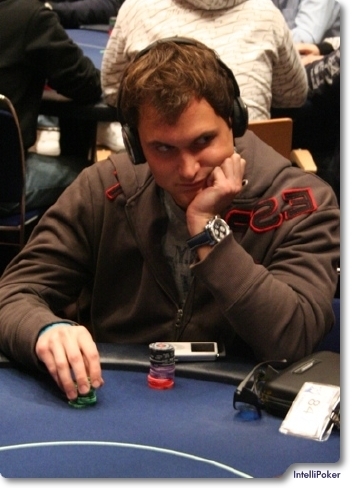 However, the most interesting "project" must be the staking of Daniel "Jungleman12" Cates (live and online). Read more » Tony G On The New Investment: "I think this guy could turn $5 million into $100 million - he's a genius"
Posted on Monday, June 25, 2012 by "T". 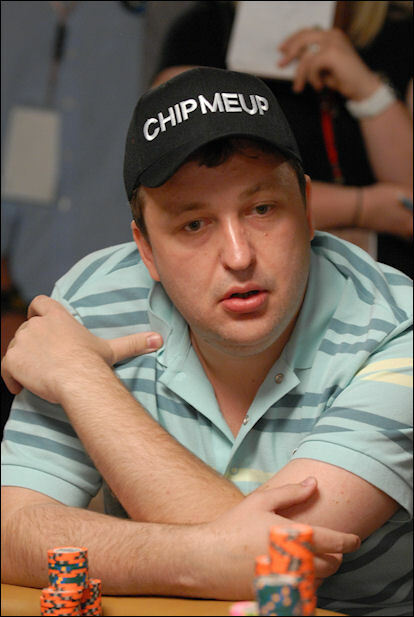 Poker pro and loudmouth Antanas Guoga, better known as Tony G, won't be taking part in Big One for One Drop at the 2012 World Series of Poker - even though he was one of the 42 pre-registered players for the tournament. The reason seems to be that he will travel around with Lithuania's basketball team, together with other big sponsors of the team, at the same time as the tournament is played in Las Vegas. This means that 41 players will take part in Big One for One Drop. The tournament kicks off in a week and still there are 7 seats (48 player cap) available to anyone who has the money and the guts to use $1,000,000 for a single poker tournament! Scott Seiver wins PartyPoker Premier League V for $500,000! Posted on Wednesday, April 11, 2012 by "T". Scott Seiver is the 2012 PartyPoker Premier League V Champion. 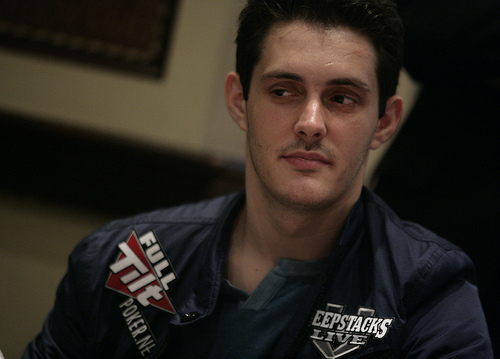 After a a short heads-up match against online super star Daniel "Jungleman12" Cates, Seiver had all the chips and received €500,000 and a ticket to the $25,000 World Poker Tour Championship. Cates received $300,000 for his second place finish. Tony G: " Erik Seidel is from the family of The Walking Dead"
Posted on Tuesday, April 10, 2012 by "T". Tony G is back with yet another trash-talking video. This time it's Erik Seidel, who Tony G knocked out from the PartyPoker Premier League V, who gets a taste of Tony G's sarcastic humor. The preliminary heats of PartyPoker Premier League V were completed over the weekend and 6 players (Mathew Frankland, Sam Trickett and Tony G from Group A - Dan "Jungleman12" Cates, Patrik Antonius Scott Seiver from Group B) qualified for the final table. Posted on Friday, April 06, 2012 by "T". Tony G is almost always in the centre of attention when he's taking part in a live tournament. 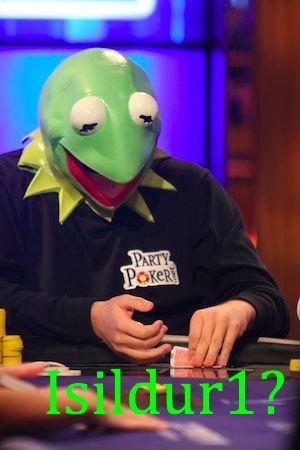 In Party Poker Premier League, which started 2 days ago, he decided to bring a few "card protectors" to the poker table - something that will make sure to get him as much exposure as possible in media. The first 2 rounds of Group A in PartyPoker Premier League V have come to and end. Tony G took home the win in the second round for 16 points (and $32,000), while Erik Seidel finished second for 11 points. Tony G and Phil Laak now have 20 points each. $100,000 Super High Roller returns in 3 weeks! Posted on Thursday, April 05, 2012 by "T". The €100,000 Super High Roller event will return on April 23 during PokerStars European Poker Tour Grand Final in Monte Carlo. Yesterday it was announced that 20 players have pre-registered for the tournament so far, which means that at least a €2,000,000 prize pool will be up for grabs. Some of the most interesting players who will take part are Viktor "Isildur1" Blom, Patrik Antonius, "ElkY", Sorel Mizzi, Tony G and Daniel Negreanu. Viktor Blom won the last Super High Roller for amazing $1,254,400! That event was played at the Atlantis Resort and Casino (during PCA) in January this year and saw a field of 30 players (2 players made a rebuy). It will be interesting to see if the upcoming Super High Roller will be as successful. Posted on Friday, February 17, 2012 by "T". Yesterday PartyPoker announced that the Finnish poker pro Patrik Antonius will join Tony G, Luke "FullFlush" Schwartz, Vanessa Selbst, Sam Trickett, and other players for the $125k buy-in PartyPoker Premier League Poker V Main Event in Vienna between April 4th and 10th. The event will be a part of the World Poker Tour Vienna festivities and the winner will be awarded with entry to the $25,000 WPT World championship at Bellagio, in addition to the leagues first prize. Tony G to Melanie Weisner: "Ride the unicycle 2 times around a poker table and you'll get $10k"
Posted on Wednesday, January 25, 2012 by "T". Tony G is a well-known loudmouth in the poker community. When he's not busy trash talking someone at the poker table, he (and many other poker players) likes to bet money on crazy stuff. 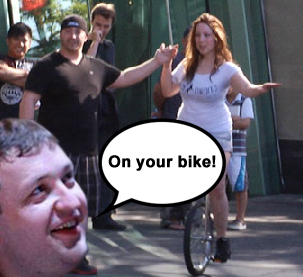 During the 2012 Aussie Millions, Tony G offered Melanie Weisner, an American poker pro, a seat in the Main Event ($10,000 buy-in) if she could go around a poker table twice on a unicycle. 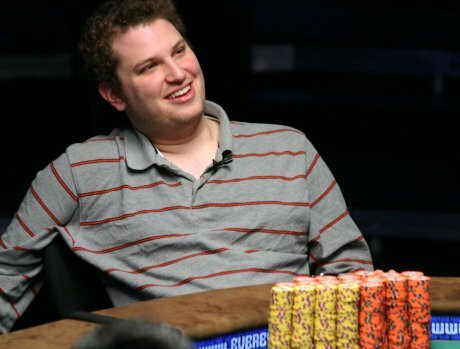 Read more » Tony G to Melanie Weisner: "Ride the unicycle 2 times around a poker table and you'll get $10k"
Tony G's message to Phil Hellmuth: "It's time to think about retirement"
Posted on Wednesday, December 28, 2011 by "K". Due to Christmas holidays et cetra, we somehow managed to miss out on Tony G's latest video blog. The video, which was uploaded by Party Poker on December 22, has the description "Tony G sends his Christmas Greetings". Maybe "Tony G sends a message to Phil Hellmuth" would be a better description. Yes, once again the Lithuanian poker pro is attacking Hellmuth. This time however, Tony G thinks that Hellmuth should retire for good from poker and that he's overrating himself in the poker world. Posted on Thursday, November 17, 2011 by "T". Not fresh news but still worth checking out (if you haven't seen it before of course). During WPT Malta Tony G, dressed up in baby clothes with a beautiful lady by his side, challenged Phil Hellmuth to come and play heads-up for €1,000,000. Enjoy the video! Posted on Wednesday, October 19, 2011 by "T". The field has been narrowed down even further as another day of the WSOP Europe Main Event is over. The 25 remaining players will now fight for a seat at the final table where some serious cash is up for grabs. Leading the field is Max Silver, from UK, with 1,769,00, and close behind him his fellow counterman Chris Moorman with 1,769,000 chips. Posted on Thursday, November 25, 2010 by "K". Through out the night, the bids for Peter Eastgate's bracelet from WSOP Main Event 2008 have been pouring in. It was a pleasantly surprised ex-world champion Peter Eastgate, who yesterday noted that bids on his WSOP bracelet had reached 75,100$ from a starting price of 16,000$. 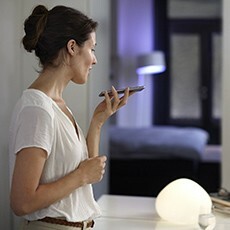 - I am obviously pleasantly surprised that the price has reached such a high level, he said. Posted on Monday, November 01, 2010 by "T". It's probably no news to many of you that Tony G likes to complain and fight with other players when the cameras are rolling. Sometimes he has a point, however, he usually doesn't make his point in a nice, friendly way. In the video clip below, Andrew Robl and Daniel Negreanu are playing heads-up, while they are about to finish the hand a very frustrated Tony G gets up for his chair and starts walking out of the room while he's complaining and whining about Robl taking too long to act all the time. The tournament director calls the clock on Robl after this. Daniel Negreanu and the rest of the players at the table are not getting involved at this point. 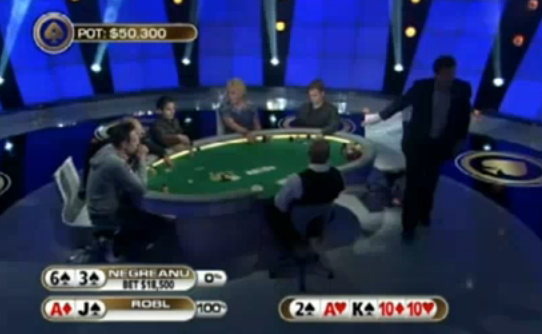 But after that Robl throws away the best hand, Daniel Negreanu can't help to show him that he was bluffing. Daniel is also thanking Tony G for calling the clock, which obviously made Robl stressed. Robl doesn't seem to be happy at all with the situation but he decides to be quiet. Tony G about Phil Hellmuth: "He's mentally unstable and needs professional help"
Posted on Monday, September 13, 2010 by "T". It's not a secret that Phil Hellmuth has a big problem with his temper when playing poker. Even though Phil has a huge bankroll and probably seen it all when it comes to bad beats, he still can't control his feelings after so many years of experience. For quite some time now many of the world's best poker players have been trying to help Phil (in many different ways) to deal with his temper - but most of them have given up. Tony G, however, refuses to give up and in a recent video interview he said the following about his dear friend Phil Hellmuth. "Phil is a very nice person away from the poker table. But at the poker table he's mentally unstable and needs professional help", Tony G told the interviewer. "He has gotten one of those headshrinkers to help him now, and I also try to help him. One just feel like taking care of Phil. I lead him, just like my dog. Posted on Wednesday, September 08, 2010 by "T". 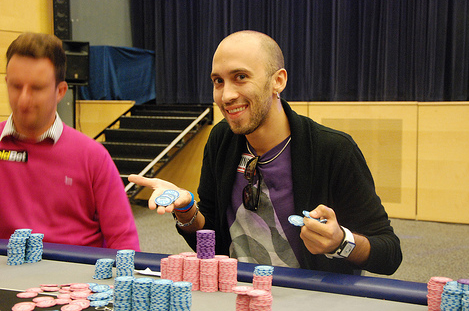 The WPT High Roller event in London attracted a very small field of players this time. Only 18 players were willing to pay the buy-in of £15,000, among them were notables such as Tony G, Luke Schwartz and Freddy Deeb. It ended up being Freddy Deeb, Tony G and Justin "BoostedJ" Smith who made it to the money. First player to leave the tournament was Freddy Deeb, which left Tony G and "Justin Smith playing heads up, a heads up match which Justin Smith took home after some time. For the win he received nothing less than £141,000. Posted on Friday, April 23, 2010 by "T". The winner of this years Aussie Millions, Tyron Krost, 23, is the latest member of Team PartyPoker. Tyron will now get to play in many major poker tournaments (for free) all around the world together with the rest of the team - Tony G, Mike Sexton and many more. Even though I'm happy for Tyson Krost and his new sponsorship, I must say that I find it quite strange that a big site like PartyPoker signs a relatively unknown player like him. Okay, besides the Aussie Millions (qualified through a satellite at PartyPoker) win, he had some decent results in 2008 WSOP, but still? Might be that they want to strengthen its Australian Team even more after the signing of Tony G? Posted on Monday, April 19, 2010 by "T". Rumors that the mystery swede Isildur1 is going to play at EPT in Monte Carlo have been been circulating on the web for the past few days. The rumors started after that a Swedish blogger (apparently with good connections to the EPT crew) wrote in her blog that Isildur1 already has signed up for a tournament at EPT Monte Carlo. She really believes that Isildur1 wont cancel this time since he already paid the expensive buy-in and also because he can be more anonymous than in the Big Game. However, she makes it clear that she wont make a "Tony G" and put her hopes up too high. Posted on Monday, April 12, 2010 by "T". Tony G announced a while ago that the mystery swede Isildur1 was going to come and play in the televised poker show Party Poker Big Game. The deal was that Tony G was going to stake him for 48 hours and also pay for everything else (hotel, flight, food etc). Isildur1 was really happy with Tony G's offer as he even told him he could play without a mask and reveal himself. 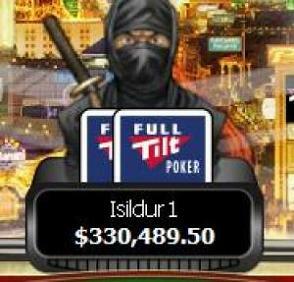 So, we were finally going to see who the man behind the ninja avatar at Full Tilt Poker was. The man who lost and won millions of dollars in no-time and also has been in the headlines almost every single week since he crushed durrrr back in 2009. Well, unfortunately Isildur1 decided to drop out in the last minute through an SMS to Tony G. It's not hard to understand that Tony G feels "bluffed" and disappointed after reading his latest blog post. Isildur1 plays live in London this month! Posted on Thursday, April 01, 2010 by "T". 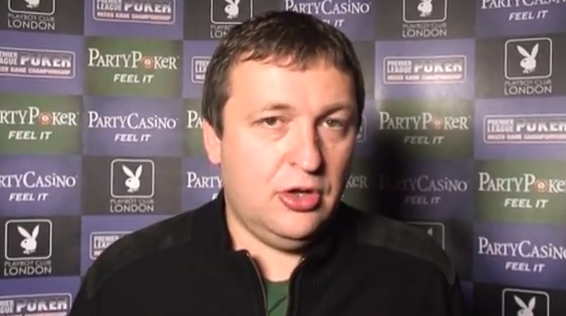 A while ago, Tony G offered to stake the mysterious swede Isildur1 in Party Poker Big game IV in London. However, not many believed that Isildur1 would accept the offer -- even though he didn't have to reveal his identity. Now, Tony G writes in his latest blog post that Isildur1 has accepted his offer and that he's even thinking of playing without a mask. "I have some brilliant news. Isildur1 has accepted my offer to play in the PartyPoker.com Big Game IV in London. I spoke to him this morning and he has confirmed he will accept my offer to fully stake him for the event. I am delighted but I am going to crush him! The question you all want the answer too is will he reveal his identity? This is what I am discussing with him at the moment, he is seriously thinking about just revealing himself to the world but the mask offer still stands! I will update you on this soon. "; Tony G writes in his blog. Read more » Isildur1 plays live in London this month! Posted on Thursday, March 25, 2010 by "T". Tony G has been interested in staking the mysterious Swede in cash games online for a long time. However, it remains unclear if they have agreed on something. 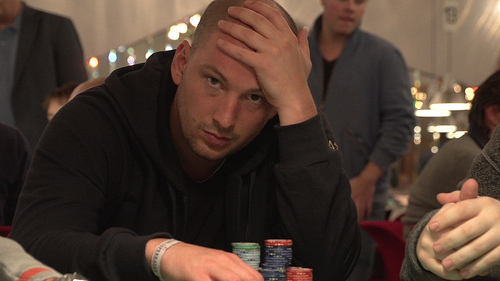 Now, Tony G is offering to stake Isildur1 in the televised cash game The PartyPoker Big Game IV. Tony G writes in his blog that he will pay for the flight, accommodation and stake him for the 48 hour cash game. Tony G has even contacted one of the tournament organizers and fixed so that Isildur1 can wear a mask or something else in order to keep his identity hidden and remain unknown. Isildur1 probably doesn't need a closer presentation since he was the most talked-about person in the end of 2009 thanks to the millions of dollars he won and lost in no-time. Anyhow, we all know that Isildur1 ended up losing everything he had won, and also that he lost about 2 million dollars from his own bankroll. After this, Isildur1 disappeared from the high stakes scene for a while, and then he returned a few weeks later playing $5/$10 NL. This time, the unknown Swede lost about $400 and didn't seem to care about the money at all (who can blame him?). Now, after a few weeks of complete silence, he's once again back at the poker tables. But, unfortunately, it's on even lower stakes than last time - $0,25/$0.50 NL Holdem. Isildur1 sat down at the table with $10, which he lost later on after that his pair of kings was beaten by three of a kind 5's. Noble Poker Announces Merger with Tony G + New No Deposit Bonus! Posted on Thursday, January 14, 2010 by "K". 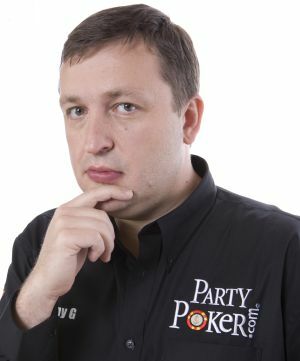 Noble Poker announces its merger with tonygpoker.com, the popular online poker room run by Tony Guoga (aka Tony G). As both Noble Poker and Tony G Poker are iPoker Network poker room, all Tony G poker room players will be migrated to Noble Poker without affecting the player’s user experience. Read more » Noble Poker Announces Merger with Tony G + New No Deposit Bonus! Posted on Tuesday, December 22, 2009 by "T". Brian Townsend has been in the center of the storm since last week when he got his red pro status removed (for a month) by Full Tilt after that they found out he had been using a non-allowed program to save hand history against Isildur1, and also discussed and shared this information with Brian Hastings and Cole South. After this, Brian Townsend wrote in his blog that he was the sole one to break Full Tilt's terms & conditions and that Hastings and South had nothing to do with it. Brian Townsend probably thought that he would get some peace and quite after writing this. Unfortunately, for him, this "scandal" has now been taken to another level as many other pros now have started giving their opinions and thoughts on the Brian Townsend scandal. 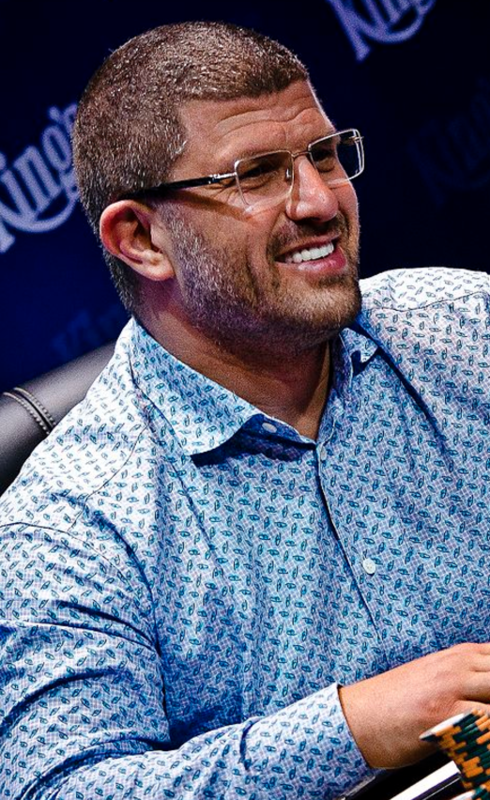 One of these pros are Tony G.
"The world of poker is a very complex structure built around players, the online poker sites and casinos that provide the games, the limits and games played, rake, backers, and a lot more, and in the end, trying to provide the best game possible that helps everyone. The entire situation with Townsend, Hastings, and Cole involving their combined knowledge and play against Ilsuldur1 leaves a bad smell in the air for everyone, especially for Full Tilt since Townsend is one of their Red Pros. As a player, I would like to see Townsend be more committed to giving his attention to doing what being a Red Pro demands at Full Tilt."